Full package system, ready to use including all the required fixtures and fittings. 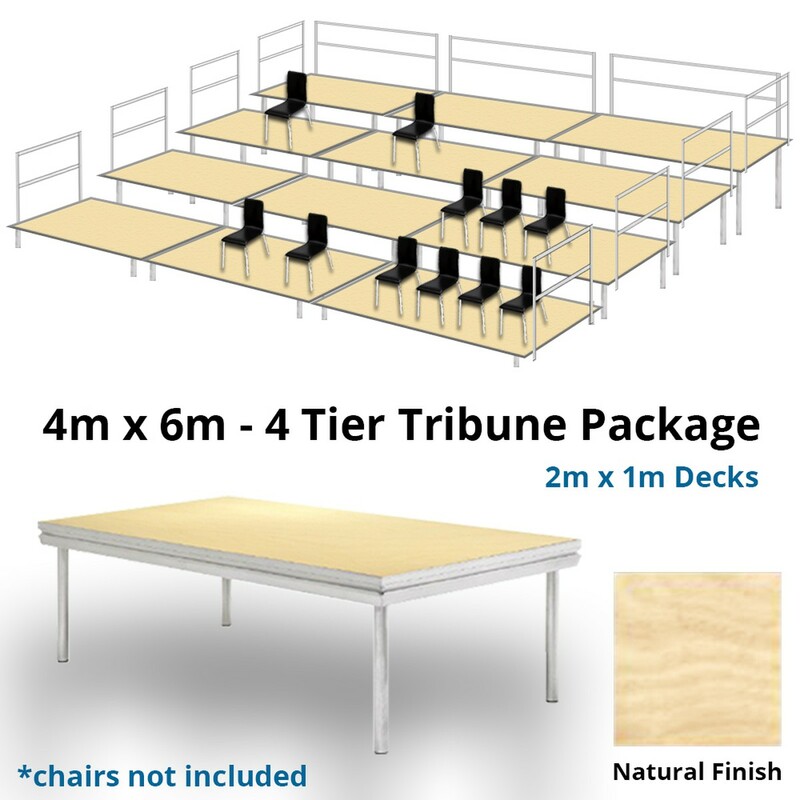 This pre-selected stage deck based seating tribune system is perfect for choirs, churches, schools, theatres, music events and any number of other uses where a portable height staggered seating system is required. 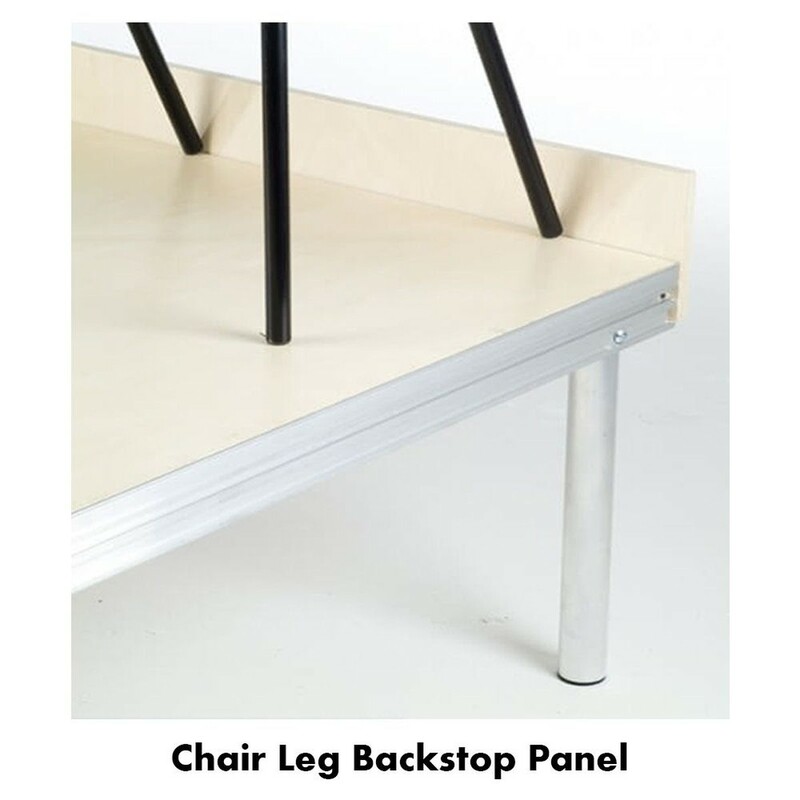 It comes complete with safety railings and detachable chair leg backstop plinths, and all the required mountings and mechanical fixings including leg clamps which secures each deck to the one it's next to for enhanced stability and movement reduction. Legs are the industry standard 48mm diameter 3mm wall thickness tubular aluminium with floor grip end inserts. For this system they are supplied in 3 different heights to allow for the optimum tier angle for seating. 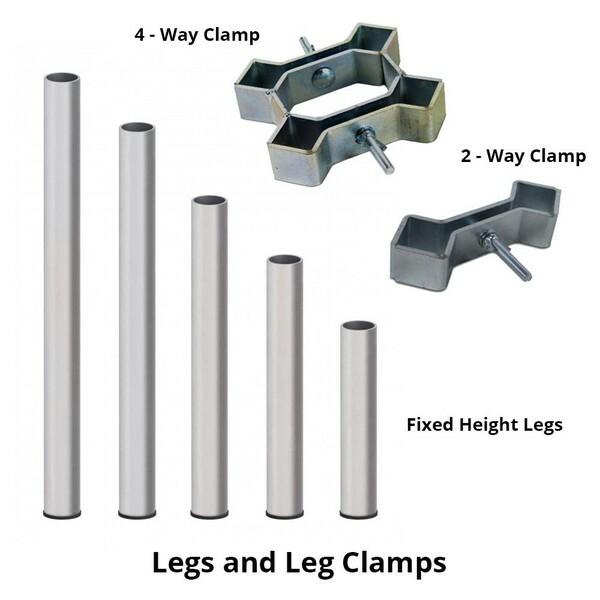 The quick change nature of the leg attachment allows the user to purchase additional legs in any heights required. 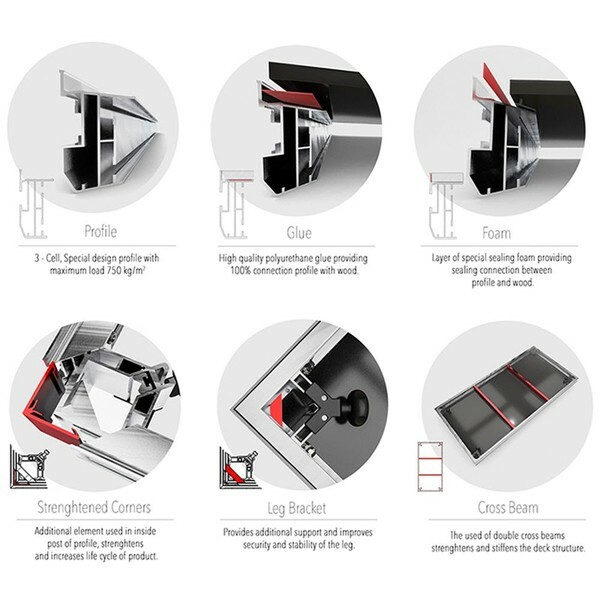 The benefits of using a stage deck based system gives the user so many options to the layout, sizing and surface finish of each platform, and offers them the flexibility of adding and removing individual or multiple decks to suit each specific job. Decks are not limited to seating and can be used for practically anything, with legs being easily swapped out for different heights that allow them to be low level stages, tables and equipment stands, fashion show runways and conference podiums. These packages are representative of a simple layout tiered system. 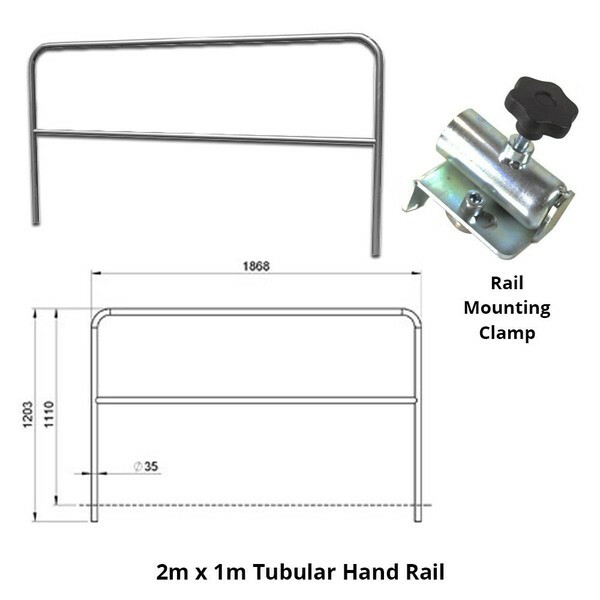 Stage Concepts are able to supply stage decks and tribune style tiered setups in any amounts and dimensions you require, not just what's offered here. 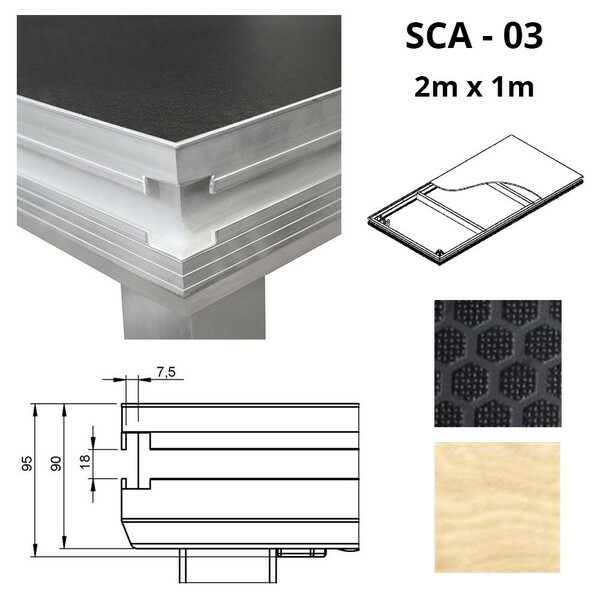 The beauty of the SCA-03 stage deck platform is that it can easily be added or subtracted from a larger system when the need requires, or the budget allows, so if you are limited to starting off with just a few decks but with the aim of adding in further units to build a system over time, then this is the perfect platform for that purpose. For much larger systems, we can supply stair units and access ramps for disabled users. 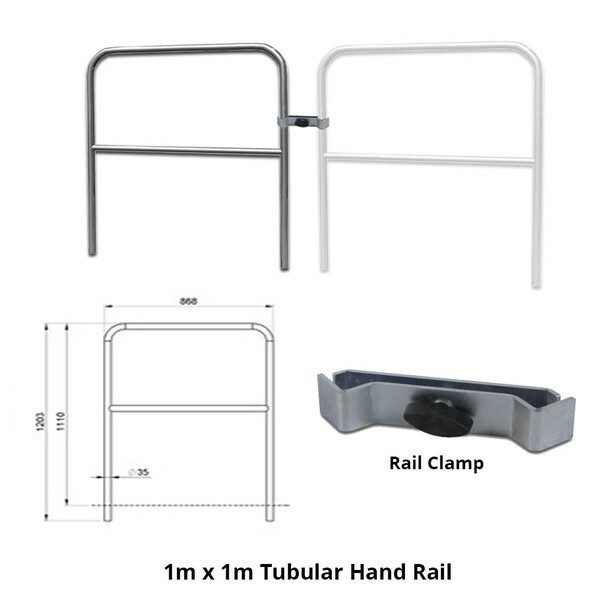 Collection available from our warehouse in Thurrock, Essex (Lakeside Industrial Park). Or we can ship stock via Pallet services at extra cost. Please contact us for a quote. You can arrange your own shipping too if required. Please say you have seen the advert on CURLEW.